The HMP155A provides reliable relative humidity (RH) and temperature measurements for a wide range of applications. 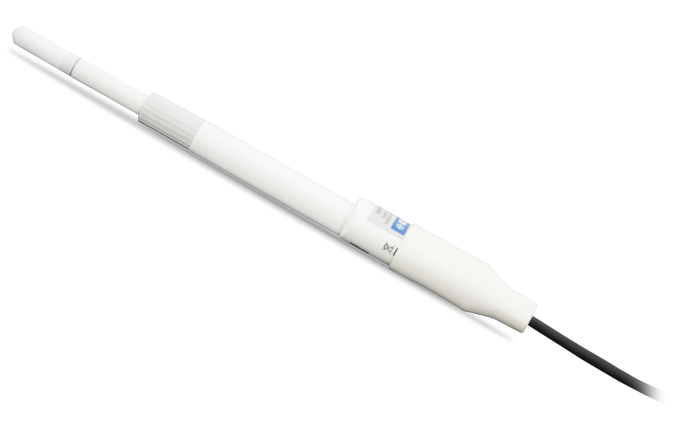 It uses a HUMICAP®180R capacitive thin film polymer sensor to measure RH over the 0 to 100% RH range. A PRT measures temperature over the -80° to +60°C range. This rugged, accurate temperature/RH probe is manufactured by Vaisala. To reduce the current drain, power can be supplied to the HMP155A only during measurement when the sensor is connected to the data logger’s switched 12 V terminal. Data loggers that do not have a switched 12 V terminal, such as the CR510 or CR7, can use the SW12V switched 12 V device to switch power to the sensor only during measurement.